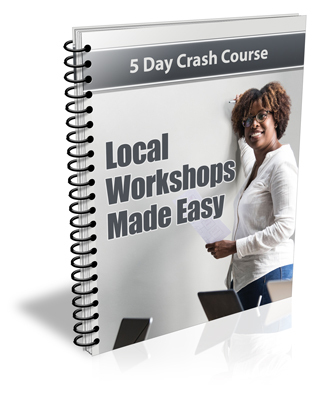 The "Local Workshops Made Easy" course was specifically designed to show even absolute beginners how they can plan and host their own profitable local workshop right away. What's Included in the Local Workshops Made Easy Package? With this series, you will receive 5 formatted email lessons packed with easy to understand information that you and your subscribers can start using to immediately impact your business! The "Local Workshops Made Easy" package contains everything you need to start using it right away!